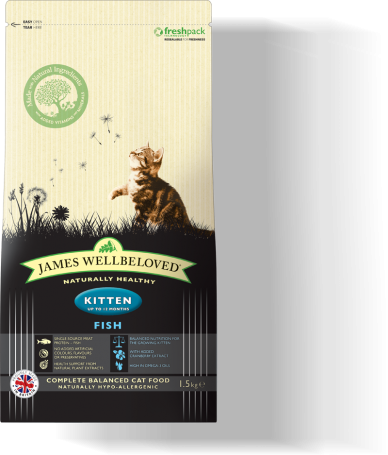 What makes your cat foods naturally hypoallergenic? 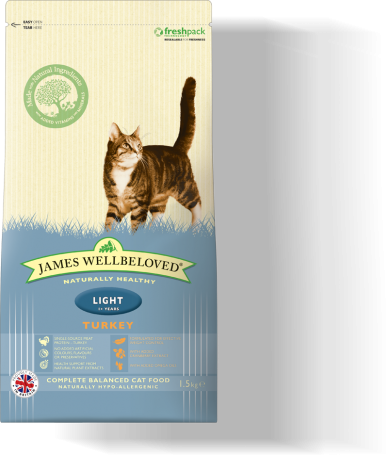 James Wellbeloved food is naturally hypoallergenic which is not only great for everyday health and wellbeing but is less likely to cause an adverse food reaction in your cat. 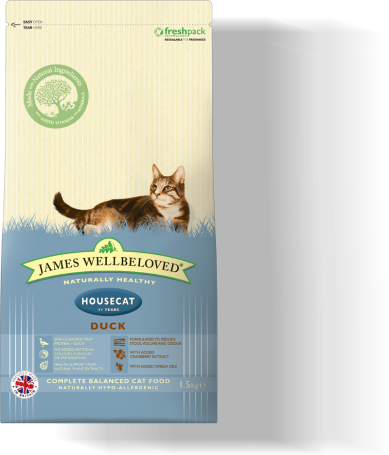 To make our naturally hypoallergenic food, we exclude those ingredients which surveys suggest are more likely to cause food intolerances, such as: wheat, dairy, beef, pork, eggs, soya. We also only use a single source of animal protein in our recipes, and that includes the gravy and fat, which means in our turkey recipes for example, turkey is the only animal protein you will find.